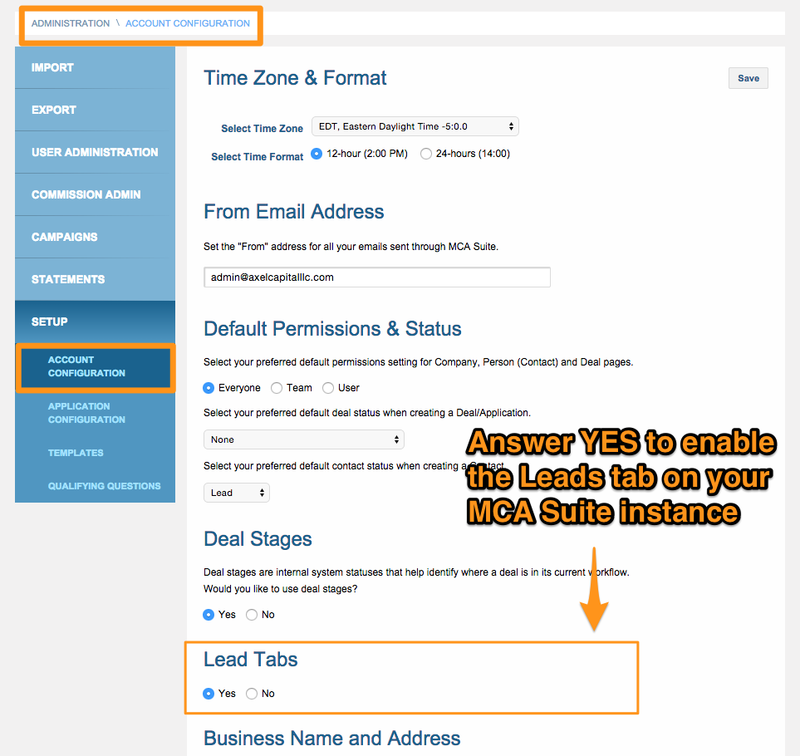 The Leads tab is a configuration setting for MCA Suite. By default, the Leads tab is hidden. To enable the Leads tab, go to Admin > Setup > Account Configuration and answer YES in the Leads tab question.